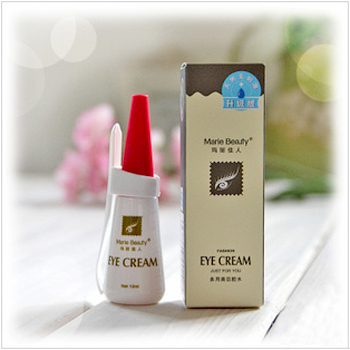 Marie Beauty eye cream series make your eyes impressive and lovely and bring you double eyelids in short time, easy to use, without any pain, only natural beauty. 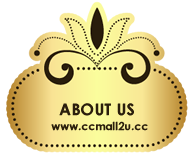 3.Wait for a few seconds, and then open your eyes. 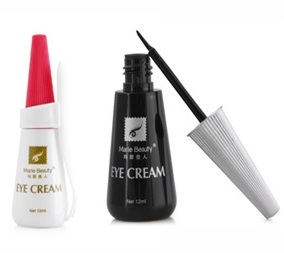 Use "Y" stick to massage gently, and the crease is the inital double eyelids. 4.Then draw up eyelid at canthus. Draw "Y" stick outwards to gain doble eyelids. You may try once or twice. You can practice for 3 to 4 times to make it perfect. 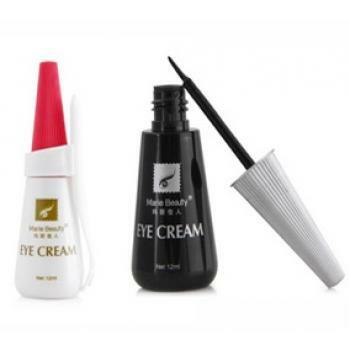 5.If you want to remove the lines, you may use cotton stick dipped with de-makeup agent to wipe your eyelid. 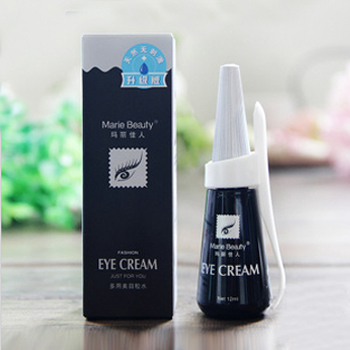 Paste the appropriate amount gel on both sides of artificial eyelashes and rest the artificial eyelashes along the root of the true. Pressfor 10 seconds with finger so that they mix completely.